MSLGROUP veteran and former president & CEO of H+K Strategies, Chetan Mahajan, has launched reputation management advisory firm, 'The Mavericks' along with Peter Abreo. Abreo is also an old MSL hand, with over two decades of experience in the PR and communications industry. The firm has kicked off today with offices in three cities: NCR, Mumbai and Bengaluru and has also signed on with two clients. 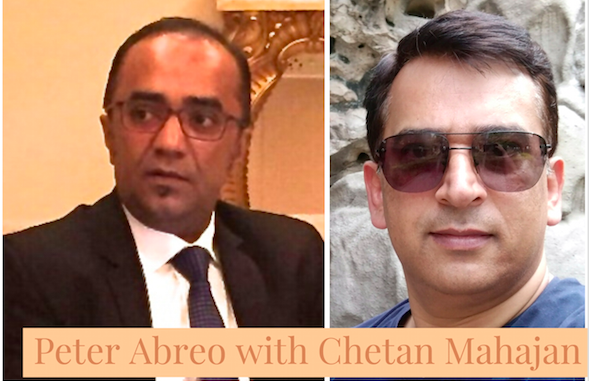 Chetan Mahajan, founder and CEO of 'The Mavericks' says he intends to keep the purpose of the firm aligned with the client as well as the people in PR teams. Mahajan told PRmoment India that he wants to bring clients, rather than just revenues, back to the centrestage of PR. Mahajan also wants to focus not only on empowering PR team members, but also ensuring that they are motivated from a reward point of view. Says Mahajan, "If we can share the load, we can also share the reward." 'The Mavericks' will also soon partner with an existing niche PR firm in order to increase it's network of services.